Class A Drivers Needed! Great Pay & Bonuses! We are a trucking company looking for class A drivers with a minimum of 2 years experience and clean driving Record! Local runs and all 48 state runs available. We offer on time pay once you are back from your trip and we have lots of bonuses! 24/7 dispatching is available and all of the trucks are brand new automatic leased trucks! You will never have to drive an older truck or have to worry about breakdowns!! 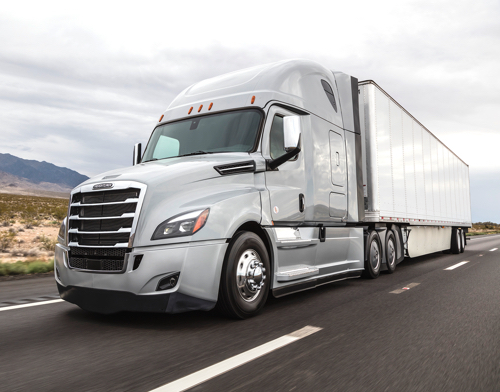 We have 2018-2020 Freightliner Cascadias and Volvos! All trucks have an Automatic Transmission! We have Prepass on all of the trucks available so you don't have to wait and stop at scales! Corporate fuel cards are also available to each and every driver to make your fueling experience fast and easy! Do not hesitate and give us a call now with any questions you may have!